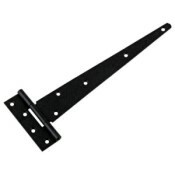 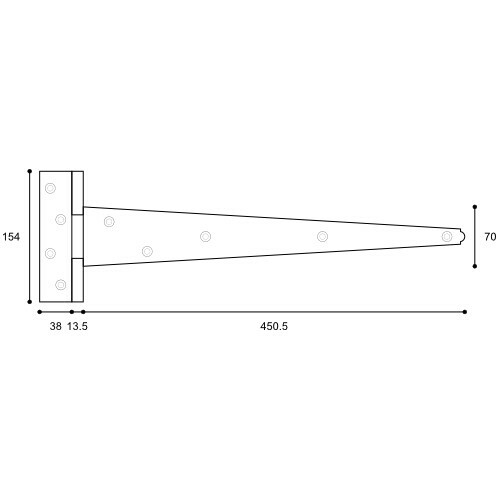 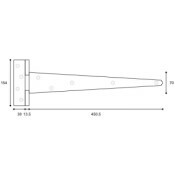 An English pattern 120 strong steel T (Tee) Strap Hinge for general purpose use. Manufactured from heavy gauge mild steel for more demanding applications, this 18" (450mm) version is suitable for medium weight doors up to 36" (926mm) wide or heavier doors up to 28" (726mm) and is a popular choice for wider shed doors and full height gates etc. Two hinges as described complete with traditional slotted roundhead woodscrews in matching finish.